If your hair has the wrong cut for your face, it can detract from your appearance the charm and glamour which is innate to every face. The mishandling of hair too can lead your crowning glory to become the worst feature of your appearance. Thus, to maintain your hair, you need to take care. The first step to beautiful hair is cleanliness. You must wash your hair every alternate day or even daily, if necessary. This will not harm your hair as long as you make sure of the quality of the shampoo. Never compromise on the quality. Your shampoo and conditioner should be used separately. Both have entirely different functions and hence must be used separately for adequate results. Henna has a very drying effect on your hair. So, avoid using it and instead choose a quality hair dye to colour your hair. Always trim your hair at least once in six weeks. This will help you maintain your hairstyle and also keep split ends away. Go in for a hair massage with glycerin once a week followed by steaming your head with a wet towel. This will ensure that the glycerin is absorbed down to the roots of the hair and help condition the follicles and the shaft alike. Avoid blow dry to style your hair as far as possible. 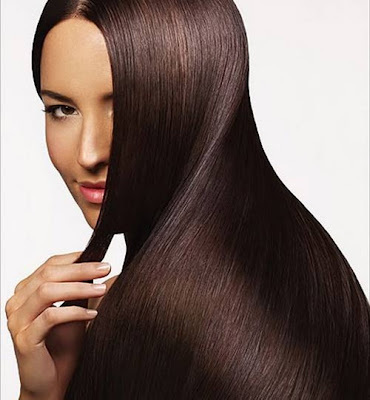 The heat leads to weakening of the hair roots. If your cut requires a blow dry to style, you must first let your hair to be half dry and only then use the dryer to style. This will reduce the duration your hair is exposed to direct heat from the dryer. Always change the brand of shampoo and the conditioner you use, every two months. This will help your hair to avoid developing resistance to the products and greatly improve their efficacy on your hair. This also reduces the chances of causing a build up, that is, the deposition of chemicals from your shampoo on your hair shaft, after regular and continuous use of a particular brand of shampoo. As a result, you will find your hair having that much coveted shine and bounce. Never brush your hair when it is wet, as this only leads to breakage. Use a wide toothed comb to disentangle your hair after shampoo. If you are using any herbal products on your hair, then make sure that you find out the ingredients used in the product and also do a patch test on the inside of your elbows. This precaution will hold you in good stead, since you will be able to avoid harmful chemicals that might be added to the herbal product and also save you from allergic reactions, which can become very painful. What is important is not what you put on your hair but what you put into your hair. For this, you need to eat right and be healthy. So, remember, for healthy and shining hair you need a healthy body.